Albanian authorities are planning to erect the country's first memorial to victims of the former communist regime, which collapsed in 1990. The initiative for the memorial came about at a conference held by the state-funded Albanian Institute of Formerly Persecuted People on Wednesday this week. 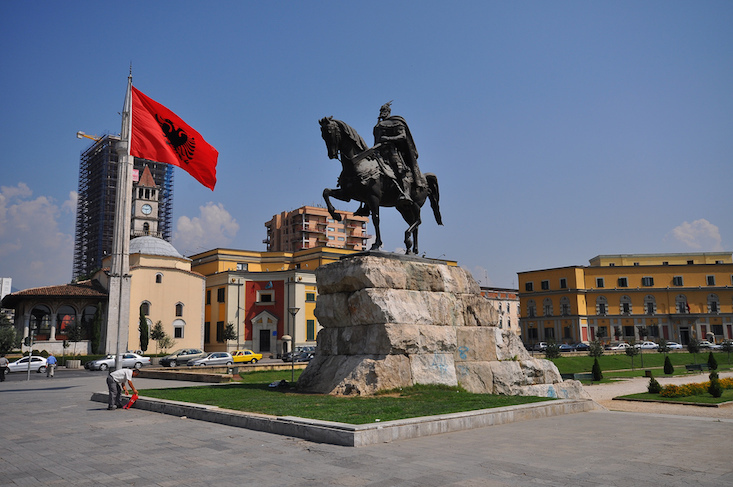 “The government and Tirana municipality have offered their support and help for the memorial that is going to be built in one of the new… parts of the capital. [...] We have to determine the exact place where the memorial will be located, and then open an international contest for the best project,” said Bilal Kola, head of the Institute of Formerly Persecuted People, in an interview with the Balkan Investigative Reporting Network (BIRN). Although the memorial is widely supported, concerns have already been raised regarding likely delays to realising the project, as no deadline has been announced. “It is very important to get serious when promising important initiatives like this. A clear timeline should be added to the project soon, otherwise it could stall and be forgotten, as has happened with other promised projects,” researcher Agim Musta, who suffered as a political prisoner under the communist regime, told BIRN. Simon Mirakaj, another representative of the Albanian Institute of Formerly Persecuted People, stressed the importance of delivering on the initiative, citing unkept promises to persecuted communities by the Albanian government in the past. He also suggested that such past cases may be indicative of an Albanian political class that is not ready to be fully removed from the legacy of communism.